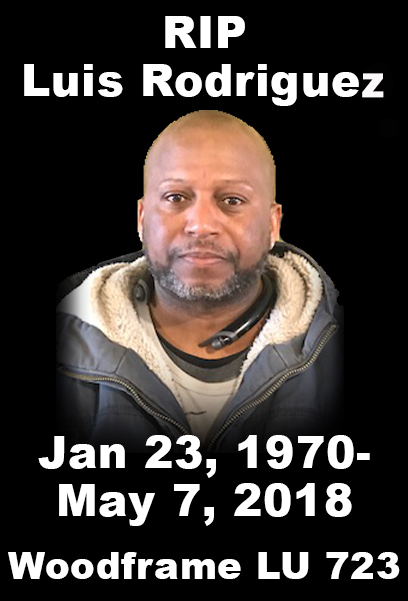 The New England Regional Council of Carpenters regrets to announce the passing of Woodframe Local 723 carpenter Luis Rodriguez following a jobsite fall yesterday in East Boston. The accident occurred at the site of Paris Village, a new 32-unit residential building being framed by Northeast Framers. Rodriguez, 48, lived in Worcester and leaves behind his wife, Evelyn Villegas, and four children. The loss of Brother Rodriguez is a tragic reminder of the need for safety training, the proper use of safety equipment and making safety a priority while working. When a carpenter leaves their home and family in the morning, we all need to work together as an industry to ensure that they return safely at the end of the day. Local 723 is making arrangements to offer assistance to Brother Rodriguez’ family. Details of the arrangements will be shared with affiliates and members who wish to contribute when they are available.